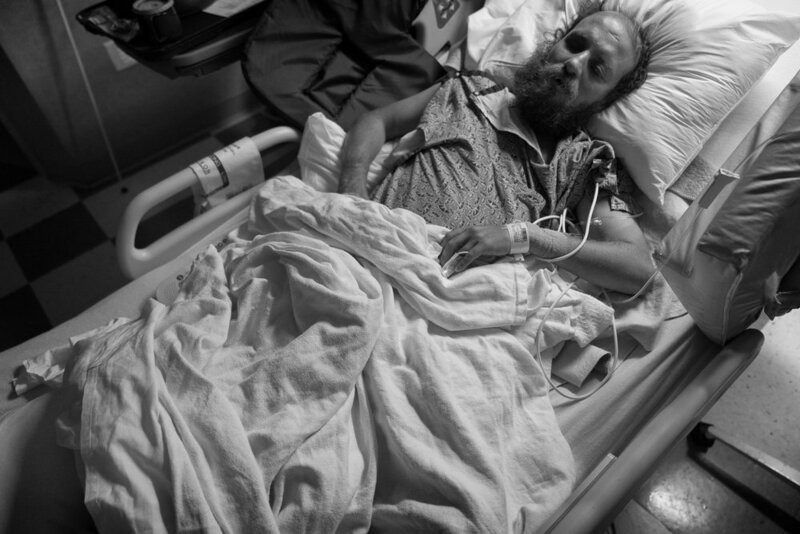 My friend Levi, who is homeless and living in the Nashville area, was recently hit by a car along with his mother Debbie. I wanted to post this about a week ago, but he insisted I wait until he gets out of the hospital. After speaking with him tonight he said to go ahead and post it. Levi who is blind, was walking across a busy intersection with his mother when a car struck the two. It left Levi with a shattered ankle that required surgery. It left his mother with scrapes and bruises, but she too is doing better. She also has a boot on her left leg that she has to wear, although I don’t know how long. The car that struck the two fled the scene and Metro Police have been unable to track it down. Of course Levi could not see the car which was not realized by officers until several minutes of questioning, according to him. Debbie did not see the vehicle and was likely busy making sure Levi was okay after the incident. Life changes in the blink of an eye for everyone, no matter the social level. However, when those changes take place when you are already down, it makes it even harder to get up. Luckily for Levi, it looks as if he will not be on a walker for long. However, being blind, homeless and on a walker won’t be easy for Debbie who is in her sixties or for Levi who is in his mid-thirties.